The Prague Philharmonia (Pražská komorní filharmonie in Czech, abbreviated PKF) is a Czech philharmonic orchestra, founded in 1993. Last week, the orchestra unveiled a new logo ahead of the 2013-14 season. It is a part of an overall visual language which had been rolled out since last year. It was created by Lucie Valerová, a graduate of the Academy of Arts, Architecture and Design in Prague. The very graphic visual expression is inspired by musical notation. It is usually only printed in black and white, but there are also more colourful iterations for concerts that target children and schools. Another innovative project from the London agency SomeOne launched yesterday. This time is a new product called WorldPay Zinc that should help small businesses in the UK by allowing them to supply simple and secure credit card payments through devices that are both affordable and easy to use. SomeOne developed both the name Zinc and the visual identity. The central motif in the identity is an explosion of colour pigment, representing buyer and seller coming together and the speed of the service. The images were shot by photographer Simon Warren using high-speed photography. 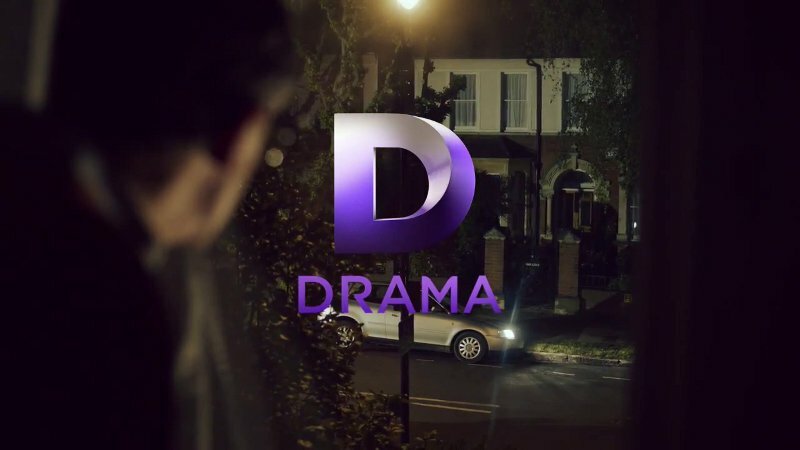 Back in May it was announced the United Kingdom would get a new television channel called Drama, which, as the name suggests, would be primarily dedicated to drama series. The logo was revealed at the same time. It was created by DixonBaxi, who have also devised the channel idents that were released recently. The channel launches on July 8 with 14 idents and 10 stings featuring everyday scenes with a cinematic feeling. The series plays on the tensions between the two sides of drama, which DixonBaxi has defined as the "idyllic" (beautiful, pastoral settings) and "intrigue" (exciting plots). The idents are punctuated by the logo with its three-dimensional D mark, which also plays on the two interdependent sides of drama. The next edition of the UEFA European Football Championship will be held in France in 2016, who were selected as hosts in 2009. Yesterday, June 26, the official logo for the event was unveiled in Paris. It was created by Brandia Central, a Portuguese agency who were also behind the logo for the last European Football Championship, hosted by Poland and the Ukraine. The theme for the logo is "Celebrating the art of football" and it borrows visual cues one may associate with modern French abstract art, bringing some sophistication to the festivity of a football tournament. At the center of the emblem is the Henri Delaunay Cup, which the winner is awarded, with stripes and shapes in colours of the French flag. Brandia Central have also created a supporting image with an eclectic stadium and a background pattern, both combining modern art with football. Switzerland's incumbent telco Swisscom has launch a new smartphone app yesterday that, among other things, allows anyone who downloads it to make phone calls over the internet. The app is called iO and its brand identity was developed with Moving Brands in London, who also created Swisscom's corporate identity back in 2008. Moving Brands were also involved in coming up with the brand name and designing websites as well as the app itself. Football is the most popular sport in Poland, and the highest division in the Polish football league is called Ekstraklasa. Last week, on June 19, the Ekstraklasa unveiled a new visual identity, created by Polish design agency BNA. The symbol is supposed to represent the elite of Polish football in the form of patches that make up a football. The distinctive letter E in middle ensures that it gets recognised even in condensed form and when reduced to smaller sizes. Ekstraklasa is sponsored by T-Mobile and the logos come in different versions with and without the T-Mobile mark. ABC, one of the major TV networks in the United States, started rolling out a new on-air identity in late May as it gears up for the 2013-14 television season. This includes a refreshed treatment of its logo. The logo for the American Broadcasting Company was created in 1962 by Paul Rand. An elegant solution with letters based on circles (inspired by Bauhaus?) have made it a design classic that stands the test of time. ABC has used it with a variety of colors and chrome coatings as TV graphics developed, but the integrity of the logo itself never changed. Last time the logo was given a new treatment was in 2007 when an on-air graphics package created by Troika Design Group in Los Angeles was introduced. It gave the logo an oblate spheroid shape (a.k.a. the shape of Smarties or M&M's) with a complex surface involving glares and reflections. The new version is flatter, with simpler gradients on the black disc. It changes color depending of the time of day and program type. The primetime version has a hint of yellow, while the news version is blue, daytime is pink and late night is green. Mobilink is a Pakistani telecommunications company and the leading mobile phone provider in the country. Last weekend, on June 15, it introduced a new identity system, created by Wolff Olins. The previous brand architecture was scattered with a corporate brand and three independent product brands, Jazz for prepaid plans, Indigo for postpaid plans Jazba for the youth. Wolff Olins and the client decided to streamline their efforts into one brand, Mobilink. The brand launch was preceded by a cryptic ad campaign with the message "Follow the link" and an element of the new visual identity. The new visual language is built around red ribbons, and the main logo shows a ribbon wrapping itself around an invisible orb, forming the letter M.
Earlier this year, Citigroup's Belgian subsidiary Citibank Belgium was sold to the French bank Crédit Mutuel. After the ownership change, it was announced on April 25 that the bank would change its name to Beobank, effective on May 21. The new identity, the name included, was developed by Minale Design Strategy. Beobank wants to position itself as an open bank close to its private costumers, and the enhanced O in the name is an expression of that openness. This solution also serves to separate "Be" in the name, which is the country code for Belgium. Lale is the first children's channel to broadcast in the Crimean Tatar language, spoken on Crimea in southern Ukraine. It launched on June 1 this year, and the charming logo was created by Art Lebedev Studio. The name means "tulip" in Crimean Tatar, and the logo is representation of the name where the letterforms make up leaves and petals. It is designed be recognisable even when broken up into different parts. Elitserien, the highest ice hockey league in Sweden, changed it name to SHL on Monday. Those letters are an abbreviation of Swedish Hockey League, or Svenska HockeyLigan in Swedish, and have been introduced as part of an effort to create a stronger brand. To realise this, they worked with The Brand Union Stockholm, who also developed the new visual identity. Iris is a free national television channel run by Italy's largest commercial broadcaster Mediaset. It is primarily dedicated to films and similar programming. Launched in 2007, it has firmly established itself as one of the ten most watched channels in Italy. Last week, on June 13, the channel introduced a new look, with its first ever logo change. The channel's slogan is Effetto Cinema, which essentially means "the cinematic effect". This is underscored by the idents, that feature cinematic reveals of the golden logo surrounded by searchlights. News Corporation will be split into two companies, and they both revealed their new logos in May. We also got a new wordmark from Instagram, a new look for the major South American airline Avianca and dozens of other interesting new logos from around the world. Séchilienne-Sidec is a French company that produces energy from biomass, formed twelve years ago from the merger a company named Séchilienne and another named Sidec. At its annual shareholder meeting on May 30, the company changed its name to Albioma and unveiled a new visual identity. The latter was developed by branding agency W&Cie, who worked with Nomen to develop the name. The name should be interpreted as "from biomass". The symbol is a Morebius strip styled after a sugar cane leaf, representing renewable energy. It should be both technical and organic, representing "a very innovative company in the field of responsible energy". The public broadcasting system in the Netherlands has always been organised in a unusual way with several broadcasters, both private foundations and state-controlled entities, providing programmes for its many channels. These days, the system is controlled by the umbrella organisation Nederlandse Publieke Omroep (NPO). As public broadcasting has faced increasing competition and economic troubles, there has been a move merge several of these organisation and create a more unified identity, slowly moving to a system more like the rest of Europe. As part of this process, the NPO announced earlier this year that the various channels would have their names changed to include the NPO brand. While this is yet to happen, last week the NPO introduced a new logo as it launched a new website. 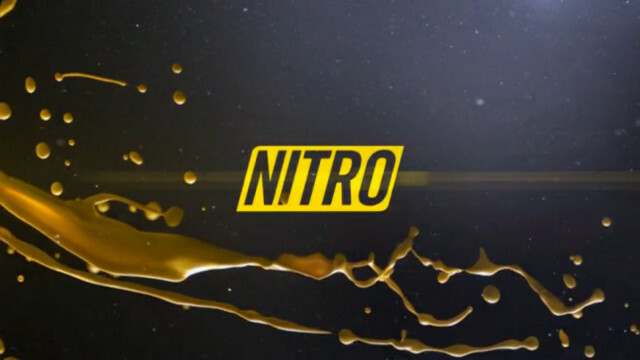 Nitro is a Spanish television channel that targets a male audience with a mix of action, reality series and sports. Launched in 2010, it launched a refreshed look last week. The 2010 launch identity was developed by Toch Studio and included idents that centred around exploding objects in a clean yellow room. The new set keeps the explosion, but make them rawer and more elements-based. A the moment, there's no credit given for the new look. Tomorrow, it will be twenty years since Adobe started a minor revolution in desktop publishing with the release of the Adobe Acrobat software and its Portable Documents Format (PDF) that allowed us to package and send digital copies of documents that looked the same on all computers. An innovation that we now take for granted. Around that time, the company also introduced a new corporate logo that has been with the company ever since. The old logo was very typical of a software company in the 80s. The new logo kept the A from that logo, made it white and put it in a red rectangle. The company name was written in a narrow variation of Myriad, the corporate typeface that they had designed. During the second half of this year, the rolling Presidency of the Council of the European Union will be hosted by Lithuania. It is the Baltic nation's first EU presidency. The logo to represent it was officially revealed on May 10. It was selected through a competition involving both the public and professional graphic designers. The idea for the logo came from someone named Simona Mykolaitytė and was then developed by graphic designer Kotryna Zilinskienė. It features four blue circles, tied together to represent unity and agreement within the union. The garland features the colours of the Lithuanian flag, symbolising its responsibility to unify Europe during its presidency. EyeMed Vision Care is an American company that provides "vision benefits", meaning that those who are covered by its insurances get discount on eye care and eyeware through businesses within its vast network. It is owned by the Luxottica group, who manufacture frames and sunglasses under several brands and operates several retail chains. Notably, they are the current owners of the Ray-Ban brand. Recently, Lippincott designed a new visual identity for the EyeMed. Avinor is a Norwegian company that owns and operates Norway's airports, formed ten years ago when the airports were transferred from a government agency. Last year, it appointed Snøhetta Design to design a new visual identity, which was launched last week, on June 5. The old logo, revealed in late 2002 prior to the establishment of the company, was a nice abstraction of a aircraft in the form of five rings. It has been replaced by a new symbol with two interlinked dots, showing how Avinor ties together Norway and connects it with the rest of the world. Snøhetta is a multidisciplinary agency and have worked with Avinor in graphic design, motion design, interior design and architecture. These frequency bars are used in several different ways. One video sequence can be adapted to include different artists. It also appears in the opening for a weekly top 20 chart of popular music videos. Merkal Calzados is a major Spanish shoe store chain. In a bid shed an image of being a budget brand, it introduced a new visual identity earlier this year. The new, more aspirational identity was created by Summa. Stanley is an American company that manufactures tools and hardware with a history that stretches back 170 years. Three years ago, it merged with Black & Decker to form Stanley Black & Decker, but the two brands are still used separately. This week, on June 5, the company introduced a new look for the Stanley brand, developed by Lippincott. The logo has been cleaned up by removing the background plate, while making it identifiable by introducing a "cut" in the letter N. Stanley's brand positioning is summed up as "Performance in Action", and the cut is an expression of action, while echoing the "notch" concept in the old background plate. Other aspects of the brand identity preserve the equity built up in the black and yellow color scheme. Axalta Coating Systems is an American company that produces high-performance coatings for the automotive and industrial sectors. It used to be known as DuPont Performance Coating until earlier this year when it was spun off from DuPont. This week, on June 4, it launched its new visual identity, developed by Futurebrand. A press release says the new logo "highlights the Axalta name as well as its focus on performance and will provide a consistent and clear symbol". The mark is an A in the form of a "forward-looking" road. The gradient glare is described as a "brilliant finish", alluding to the coatings the company makes for cars. This glossy feeling is extended to supporting graphics used in other applications. The logo comes in many colors, and can also be used as a window. Futurebrand also developed the name, designed to work across the world. MBank is a Polish virtual bank with about three million costumers. It is a part of BRE Bank, which in turn is owned by Germany's Commerzbank. Yesterday, June 4, the bank unveiled a new visual identity as part of a rebranding process that will see mBank replace the group's other retail banking brands. The identity was created by Polish design agency BNA. The logo comes in several different versions. The basic version seen above will be used for most costumers and as an umbrella logo for the group. In addition, there are special versions for products that target affluent costumers, corporate costumers, entrepreneurs and private bankers. Parade is an American newsmagazine, distributed on Sundays with hundreds of newspapers across the country. This classic title, first published in 1941, introduced a new masthead in its latest issue, which it says is the first logo change in thirty years. It should reflect the "spirit and optimism" associated with the publication. The retro typeface clearly takes some inspiration from an old logo that Parade used in the 1960s. The Ukrainian version of MTV closed down last Saturday, June 1. This channel had been operated by Ukraine's Inter Media Group, who merely licensed the MTV brand from Viacom. The local broadcaster didn't feel that the brand was relevant enough to today's Ukrainian youth, and have replaced it with "Zoom", a channel with a similar target audience. FremantleMedia Kids & Family is the family entertainment division of worldwide television production company FremantleMedia. Launched in 2009, it produces and licenses various animated and live action series for kids. A couple of months ago, it has started rolling out a new visual identity, created by DixonBaxi in London.